Background: Globally, childhood obesity is on the rise. It has more than quadrupled in adolescents since 1980. 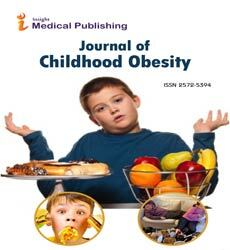 Childhood obesity has been linked with many chronic diseases. These diseases can decrease the life expectancy of the child. Our goal in nursing practice is to improve the care we provide, improve outcomes, and to educate the community on disease prevention. One way to positively impact the health of adolescents is by making an impression with our youth by teaching them how they can make healthy choices. Health education can be taught in the school systems targeting healthy lifestyle behaviors so adolescents will have a better knowledge base on choices to make and the repercussions of poor choices they make early in life. The purpose of this project is: Will high school student’s age 18-19 years old identify healthy choices compared pre and post health education module. The pre and post-test will assess for knowledge gained from education. Methods: The sample (n=15) consist of 8 males and 6 females and one who did not answer gender or ethnic group. The group is compiled of 6 Hispanic, 7 White, 1 Black, and 1 unknown of 18-19 years old. A pre-test was administered consisting of 16 questions related to healthy choices. A pre and post-test was administered to measure increased scores of knowledge on healthy behaviors. Then an educational lecture on health living and choices was delivered both with handouts and podium presentation. The pre-test and consent was done a week before the presentation and post-test. After the presentation, a posttest questionnaire was administered to the same group to determine if there were any changes in knowledge based on the pre-test findings. The purpose of the project: Will high school student’s age 18-19 years old identify healthy choices compared pre and post health education module. Education on the recommended nutrition and exercise per the American Heart Association (AHA) was taught emphasizing the importance of being healthy. The American Heart Association recommends a diet high in fiber, whole grains, fruits, vegetables, fish, and foods low in saturated fat, trans fat, cholesterol, salt (sodium), and added sugars. The AHA recommends 60 minutes of exercise every day. The recommendation from the American Heart Association what has been proven to be healthy and the reality of adolescent’s food and lifestyle choices. According to an older survey administered by the CDC in 2013, only 27.1% of high school students participated in 60 minutes of physical activity the week prior to the survey. The recommendation for 60 minutes of exercise remains the gold standard based on the current literature. Findings: IBM SPSS® predictive analytics software version 24 was used to calculated frequency tables which displayed the differences in answers to the pre and post-test question responses. It was noted there was an increase in knowledge in 11 out of 16 questions. The questionnaire contained multiple choice questions pertaining to harm of smoking, development of cardiovascular disease, benefits of physical activity, and the recommendations related to diet and exercise. Each question was given an option to choose I do not know. It was noted that only two questions, number 8 and 11 had a significant increase based on the post test results. With a significance level <0.05, question number 8 had a significance level of (p=0.016) and question 11 had a significance level of (p=0.002). An assumption could be made that it was significant. Although P-value was 0.016 and 0.002 we can’t assume there was significance because the sample size was small. Because of the small sample size a power analysis couldn’t be done. This was a convenience sample. Using a standard 80% as passing it was noted that the majority (n=8) failed 4 out of the 16 questions on the pretest. Surprisingly, using 80% as passing score for the posttest, all of the participants scored a passing rate. Question number 11 was the most missed question with only 13.3% answering it correctly. In reference to Question number 11 which asked the following, how often should you eat fish (salmon, trout, and herring)? It was noted participants posttest answered question 11 with an increase of 66.7% in the post-test. Question number 8 (pre-test) was the second most missed question with only 46.7% answering it correctly. Question number 8 asked, the American Heart Association recommends that children and teenagers get at least-minutes of exercise per day. Post-test there was an increase of students answering question 8 correctly scoring 93%. The small sample size may have contributed to the p value of <0.05. Another limitation was the possibility of students not answering questions honestly. Recommendations for future research would be to record the adolescent’s lifestyle pre and post education to evaluate for actual behavioral change. The length of the educational program could be extended with more concentration on each health behavior topic and address barriers that may exist for the families. Conclusion: In conclusion, the participants had an overall improvement in test scores. It is assumed that an awareness of knowledge was evident based on the scores from the post-test grades. Empirical evidence demonstrates an improvement when education is combined with behavioral change. Cason-Wilkerson et al. concentrated on the low income families and found that the families made changes related to physical activity and dietary choices as a result of the educational program offered. Education may be a tool used to empower and challenge youth to take a stand to live healthier while preventing chronic diseases. This project could motivate future research related to education and behavioral change.